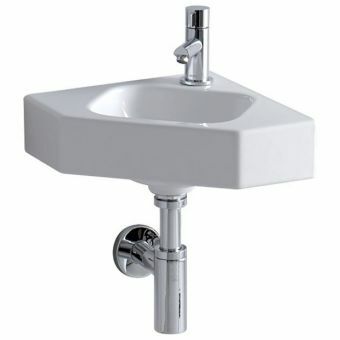 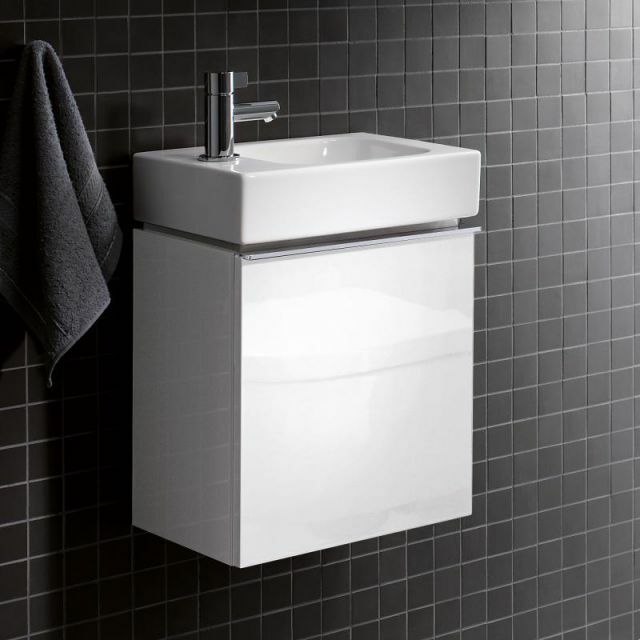 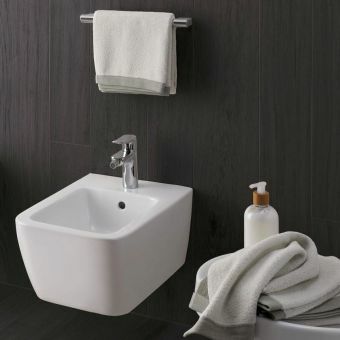 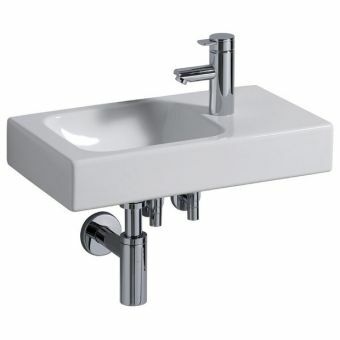 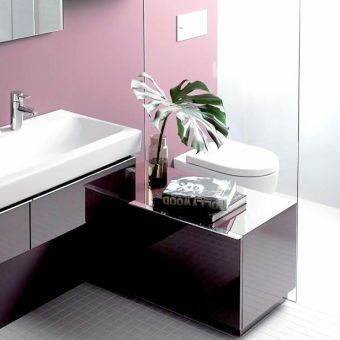 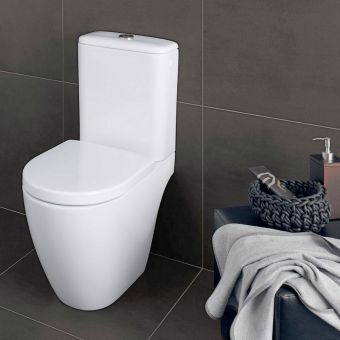 A compact and stylish wall-hung vanity unit, perfect for cloakrooms or en-suites where space is at a premium, the Geberit Icon vanity unit is a stunning piece of bathroom furniture, which combines clean minimalist lines with ample practical storage. 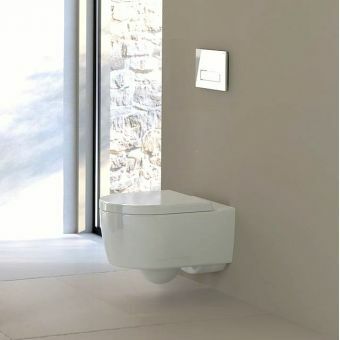 Blending style with practicality, this single-door unit is hinged on the right-hand side and opens via a neatly recessed handle. Its surfaces boast a moisture-resistant finish and the unit is delivered pre-assembled for easy mounting. 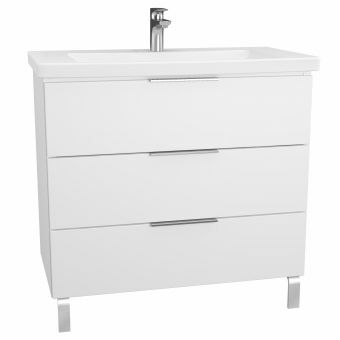 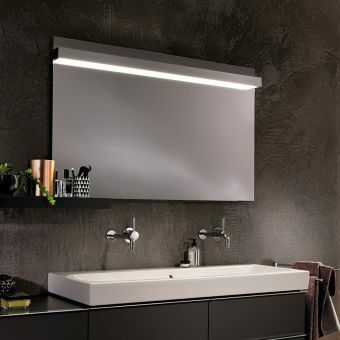 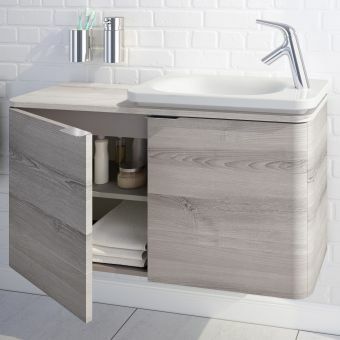 Available in a cool white finish or in the warmer tones of natural oak or contemporary lava, the unit will give your bathroom a chic modern look and a calming ambience. 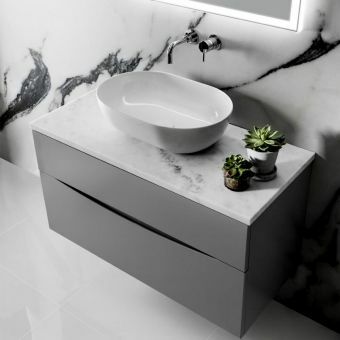 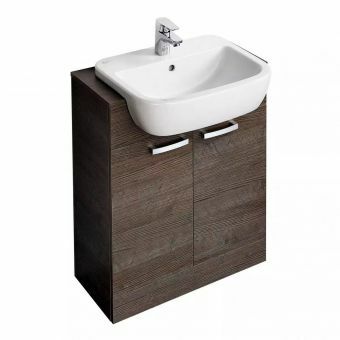 Its understated minimalist design lends itself perfectly to a much sought-after continental style interior, while at the same time providing convenient storage space in which to keep all those vital toiletries and grooming products close at hand. 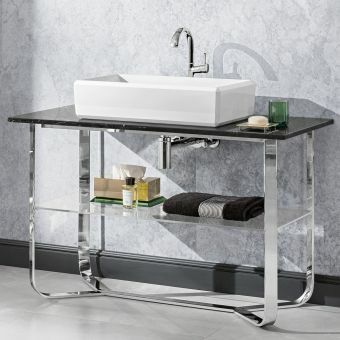 An attractive piece of furniture for the modern bathroom. 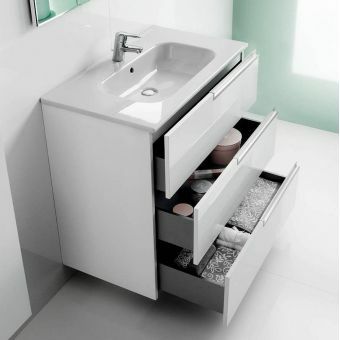 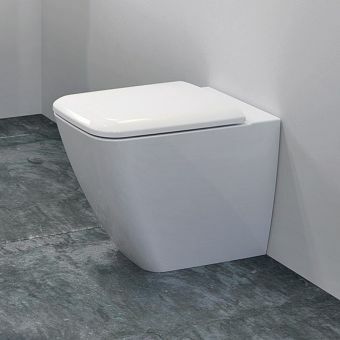 Two widths can be ordered along with a matching basin from the Icon range to make a complete coherent storage package.